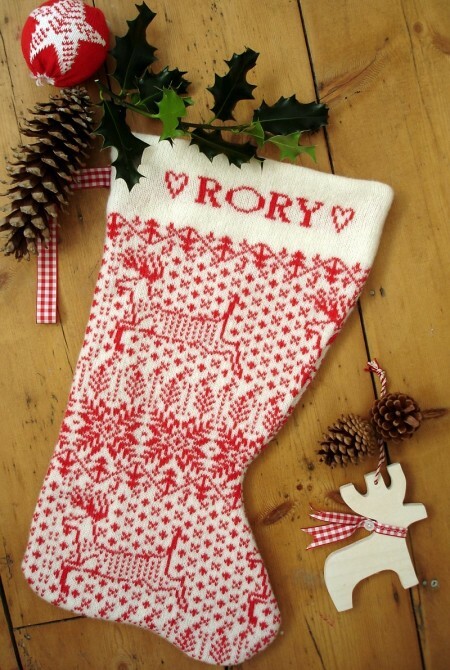 Wake up to your own Personalised Christmas Stocking on a frosty Christmas morning! 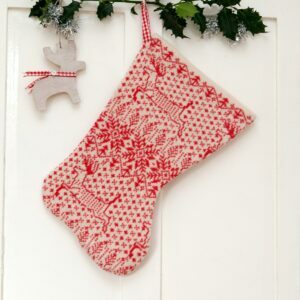 This soft and tactile stocking is sure to become an important annual Christmas tradition. A great gift for all family members and friends – and for baby’s first Christmas. 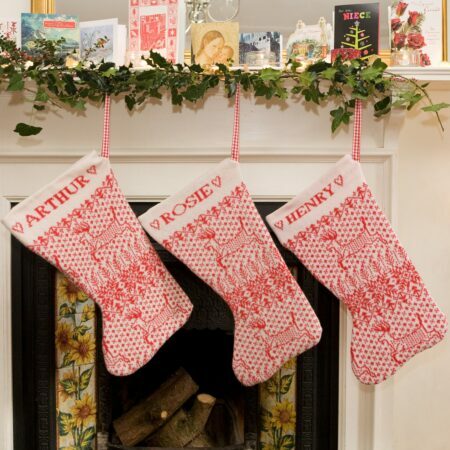 The Christmas Stockings are knitted in a classic Scandinavian style fair isle pattern. The traditional scarlet and cream design features prancing reindeer, falling snowflakes and pine forests. The stockings make a festive decoration wherever you choose to hang them – in a row along a mantelpiece or from a bedpost. 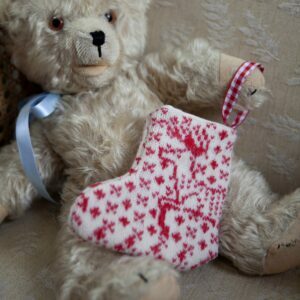 Each Personalised Christmas Stocking is individually handmade to order in my studio, with care and attention to detail. They are made to last and are sure to be loved year after year. Each stocking is individually personalised, with your choice of name knitted on both sides of the stocking, up to a maximum of twelve letters. If the name has nine to twelve letters, it will be knitted in smaller letters. The Personalised Christmas Stockings are made from natural materials. They are knitted and felted using pure new wool and cotton, and lined with sturdy calico. 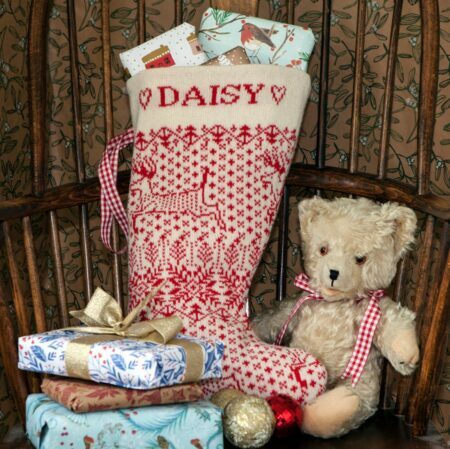 The stocking is large – approximately 54cm x 28cm – so plenty of room for gifts!